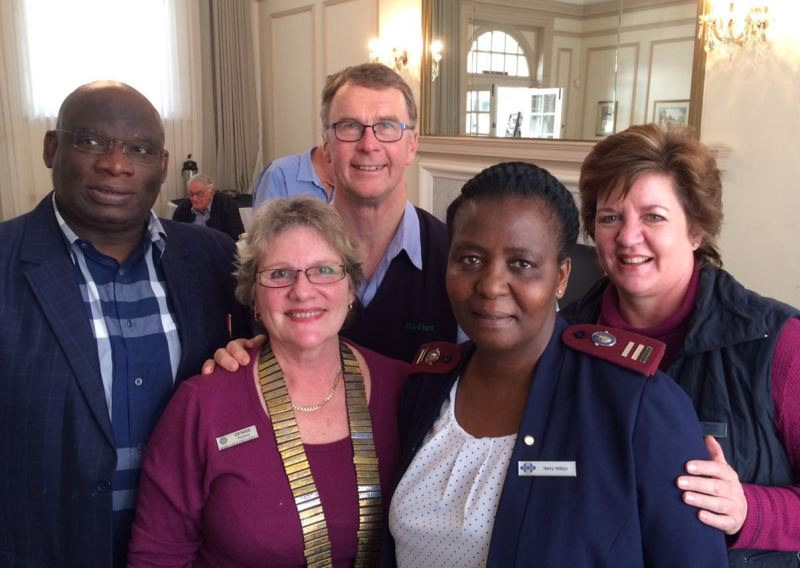 This article is re-printed with the kind permission of the Rotary Club of Port Elizabeth in South Africa. It’s so nice to be connected to Rotarians around the world. Mark Mousley the Pharmacist and Dischem Manager in Walmer Park, has a special interest in Nutrition and educating people to keep medical costs down by proper eating. Sugar causes more deaths from heart attacks and strokes than fats. Pasta, porridge, potatoes etc. all get broken down by the liver into glucose. If you don’t use up this glucose in your blood by exercise it gets stored in the liver in the form of glycogen. Fats get stored as adipose tissue, and these fats that not only go to the tummy and thighs, but also pack around the walls of the blood vessels around the heart and brain! The most nutritious foods are as simple as A,B,C. On the A list are Almonds, Apples, and Avocado - in that order, according to articles by 3 cardiologists from SA, NZ and India. Almonds are the most nutritious food you can get, and 18 per day will help control blood pressure and regulate bowel elimination. Two apples a day are better than one. If you have gastro intestinal upsets apples help the tummy work and so encourage the elimination of the pathogens. Avocado also lowers blood pressure and is full of healthy fats. Berries, Broccoli and Beetroot are tops on the B list, and are essential for your health. Vitamin C is highest in guavas, then strawberries, and oranges are only 3rd on the list. General nutritional rules - don’t eat more than one banana per day, as too much potassium can be as bad for you as too little. Eat veggies raw rather than cooked where possible, and use plenty of raw Olive oil. Always have many differently coloured foods on your plate for all round nutrition. Be wary of salt, sugar and milk - a little of each is fine, but don't use too much. At one stage eggs were considered bad for you, now they are considered good. Just be balanced in all things! Re drinks - red wine and whiskey are the best choices. It is important to note that however healthily we eat, uncontrolled stress can play havoc with our health, as this raises blood pressure and causes cardiac problems.